The Wednesday Call Live (TWC) for November 13, 2013: Andy Albright delivered another jam-packed message in this episode of The Wednesday Call live from AMP Studios at The Alliance's headquarters in Burlington, N.C.
Andy Albright is back to host his The Wednesday Call live from AMP Studios in Burlington, N.C. He talked about deciding during the next 90 days you have to be committed to planning on being at major events like War Parties and National Convention. Andy announced the latest cruise contest winners for the Oasis of the Seas trip in June of 2014. There's still time to qualify this year. Be sure to check out the leaderboard on www.NAALeads.com. Andy had ABTF's Chris Hill and Kassie Talbot, Pam Moore, Eventures' Lina Helgeson and President's Club's Brandi Tipton on the show. Tipton shared the latest Elite Ladies of the Alliance qualifiers and talked about the impact the ELA contest has had on the women of The Alliance in 2013. The product of the week is Mutual of Omaha's guaranteed universal life express product. Andy announced the newest Good Samaritan Bonus winners for the month of October. The Alliance is still looking for people that want to be in the room for the committed and we have plenty of room on our team for winners. When your mind and heart are right then time flies because you are busy doing good. When you are busy getting things done, you don't worry as much and you don't waste time on things that don't matter. Andy recognized Raleigh and Wilmington, N.C. HotSpots meetings for having big weeks for applications submitted. Andy said real leaders are intentional and they are not afraid to step up and lead others. He is looking for people who have their heart and head in the game. Andy asked the audience if they are willing to take actions that might be misunderstood? The Live Show will air again on November 20, 2013 at 12:30 PM ET. The Wednesday Call Live (TWC) for October 30, 2013: This file is an audio recording of Andy's Live Show. If you would like to access the video version, check out the NAAtv Live Archives! The Live Show will air again on November 6, 2013 at 12:30 PM ET. The Wednesday Call Live (TWC) for October 23, 2013: This file is an audio recording of Andy's Live Show. If you would like to access the video version, check out the NAAtv Live Archives! The Live Show will air again on October 30, 2013 at 12:30 PM ET. The Wednesday Call Live (TWC) for October 16, 2013: Andy Albright delivered another jam-packed message in this episode of The Wednesday Call live from AMP Studios at The Alliance's headquarters in Burlington, N.C. Success! The Glenn Bland Method is the book of the month, while the secondary book is The Retirement Miracle by Patrick Kelly. Andy Albright opened the TWC by recapping what happened in Los Angeles at the West Coast Fall Forward earlier this month. He let people know that the Fall Forward in Burlington, N.C. Oct. 18-20 was going to be even bigger and better. Gina Hawks joined the show as one of Andy's special guest. She told the audience that she will be co-hosting an annuity training in Burlington on Friday. She also announced that Phoenix final expense simplified issue is the product of the week. Katie Reavis with The Eventures staff announced the latest cruise contest winners for the trip in June of 2014. A lot of people have been telling Andy that he has more energy, more batteries and a gear that most people don't have in them. Andy says that is not the case. Each day Andy makes choices that help him kick it into a higher gear while so many others stay in low gear. How does this happen? People are focused on the wrong things and you can't let that stuff impact you. What are we going to do about that mentality, how are we going to change it? It's starts by focusing on the future. When you decide to change, you shift into second gear. If you can keep moving forward you will find the next gear and the next gear. Before you know it, you are in high gear, full speed going wide open. People who tell you they don't have that gear in them are not committed. They haven't decided to make choices that will put them in position to shift to higher gears. You can start making better choices by writing down strengths and weaknesses. Seek out a person you trust to help you fix things. If you ask them they will help you find a solution to get better. What does it mean to have "The Mindset of a Warrior"? Tim Goad joined the show to help Andy cover that topic. He talked about how warriors make an impact. It can be big or small, but everybody makes an impact. People rarely remember what you say but they do remember how you make them feel. Do you have the heart of a warrior? Inspirational - Are you filled with excitement, passion and vigor for what you do? You can be the answer somebody is looking for in their life. It can be as simple as the look in your eyes. People know based on your delivery and posture. 93 percent of communication is non-verbal. Motivational - Do people know you have the answer, that you listen to them and want the best for them? Do you find a person's needs and help fill them. Professional - Be a pro in motion. Be confident, be clear and be sure of where you are headed. Don't waste time being an amateur. Have a spirit of excellence and service. Help other people make a decision. Add value - Bring value to other people and find joy in doing it. Make a difference to others. People will be grateful you did it. Help people find peace in times of turmoil. Considerate - Do you really care? Do you care more than people think you should? Be thoughtful of others all the time. We all have a story. Trust - Be reliable, responsible, real and authentic. You don't have to be perfect. Just do your best to make an impact. The NAActivity book - what can you do to notch things up and hit the next level. Read - it will change your life for the better. The things you will learn will make you more proficient. Getting into a book daily will change your life. Communication - you have to decide. What do you want? What will you give up? You have to give up something to get something else. It's your decision. Time, emotion or money? You have to figure it out before it gets better. You have to find something that you can give up. What voices are in your head? Who are you associating with and listening to? Have you decided you are going to pay the price to get to where you want to be? Until you are committed, it's going to be hard to live the way you want to. Committed people will do things that others will not to get what they want in life. A warrior only thinks about death when they are unclear. Be clear on the top three things you are going to do today and won't worry about death. You will have clarity and vision of victory. You won't be depressed and you won't get bogged down. You will be ready to fight and take responsibility. You'll do it down to the smallest detail in everything you do. Warriors also watch the warriors around them and make sure they are on track too. It's a team thing. Andy said there are three things we need to do in the fourth quarter. He turns 50 in 2014 and he is going to ramp up his activity like never before. Identify everybody you know and put it on a sheet of paper. Get your story down. What is your angle for what we are going to do? We need some help. Tell people we are doing this, but we can't do it alone. You have to ask them to help us. GS3 - We have to make sure it is clear to all our people. We have to make sure people understand it and how it is going to work. We are going to help people set down all that other stuff and focus on serving others and helping change lives. We are going to give people hope. We are going to show them how to make a difference. The Wednesday Call Live (TWC) for October 9, 2013: This file is an audio recording of Andy's Live Show. If you would like to access the video version, check out the NAAtv Live Archives! The Live Show will air again on October 16, 2013 at 12:30 PM ET. The Wednesday Call Live (TWC) for October 9, 2013: Andy Albright was out of town for this episode of The Wednesday Call, so coming at you live from AMP Studios at The Alliance's headquarters in Burlington, N.C, is the NAA Staff armed with information and great training from previous events. The Wednesday Call Live (TWC) for October 2, 2013: Andy Albright delivered another jam-packed message in this episode of The Wednesday Call live from AMP Studios at The Alliance's headquarters in Burlington, N.C.
Andy talked about finding people who don't let problems and outside noise get in the way of their goals and dreams. Fall Forward in Los Angeles, Calif. kicks off Friday and Andy Albright is read y to fly out there now! Why? It's a chance to find a new spark or sparks to help The Alliance take the next step. It's time to grow and grow big. The Fall Forward is a chance to find more people who are experiencing success with NAA. People are coming to Fall Forwards to get motivated, recharged and energized to close out 2013 strong. Andy is looking for new leaders to help us kickstart the next big wave of growth. It will be growth that we have never seen before. We are focused on helping people get rolling now. We are looking for people who want to take control of their life. Most people don't know what they want. When you figure out what you want, life gets a lot easier. We are looking to find people that know what they want. We need more people who want in the game. We've got a spot for you to play with us. Tim Goad joined the show via telephone to talk about the two upcoming Fall Forward events. Goad said he believes that people let their energy levels get depleted. When that happens, he said it prevents you from performing to your full potential. You can't lead a person beyond the level you are on. You also can't lead them to a place they don't have the vision for. If you can take people past where they think is possible, you will push yourself to new levels too. If your view is correct, you can achieve big things. Your attitude is key. Goad said passion and energy are the No. 1 thing people look for in a leader. The Alliance is looking for people who want to live great lives, donate more money to charities and reach great heights in this world. The best people strive for excellence. Andy told the audience that The Alliance is looking for more good people with the right heart to join us. We need more people that will influence the world in a positive way. Andy shared a video that illustrates how a leader can start a movement. However, that leader needs a "lone nut" to spark the movement. A "second nut" validates the leadership and builds momentum that leads to a pack of people following them. People want to be encouraged and The Alliance is going to encourage in a big way in Los Angeles, Calif. this weekend. It will be a springboard to help us grow bigger and faster than we ever have. Andy said when we make the mundane magical, that's when great things will happen for all of us. When we start to see people with a glow, a big heart that want to do great things, that's when we can start changing the world and transforming thousands of lives. Gratitude and wanting to make a difference is what we need more of. We want people with a burning desire to do more. That's what we need to start our movement. We need more committed people. Those are the things that can change the game for The Alliance. We don't want normal people, we want crazy people who act a little differently, but they are committed and aren't scared to do big things. If you aren't coming to Los Angeles this weekend, you are invited to the Burlington Fall Forward at NAA headquarters on Oct. 18-20. See you soon! The Wednesday Call Live (TWC) for September 25, 2013: This file is an audio recording of Andy's Live Show. If you would like to access the video version, check out the NAAtv Live Archives! The Wednesday Call Live (TWC) for September 18, 2013: This file is an audio recording of Andy's Live Show. If you would like to access the video version, check out the NAAtv Live Archives! The Live Show will air again on September 25, 2013 at 12:30 PM ET. The Wednesday Call Live (TWC) for September 18, 2013: Andy Albright delivered another jam-packed message in this episode of The Wednesday Call live from AMP Studios at The Alliance's headquarters in Burlington, N.C. The Alliance had record numbers of people attend War Parties last week in 18 cities and we are still fired up! Andy hosted the show from the main stage at National Agents Alliance headquarters, where more than 75 people visited from cities all over the United States. He reminded people to keep working to qualify for the cruise in June of 2014. Andy announced the latest cruise qualifiers and placed their stickers on the cruise poster on stage. Andy announced that the product of the week is Baltimore Life's Single premium whole life. The book of the month for September is the 7 Highly Effective Habits of People by Stephen Covey. The secondary book this month is Greatest salesman in the world by Og Mandino. Lindsey Barron and Bridget Phelps were recognized as the newest members of the Elite Ladies of the Alliance. Craig Dietz, who was born without arms and legs, joined the show via telephone to share his amazing journey. Craig plays volleyball, bowls, drives a car and swims in two-mile races despite not having arms and legs. Craig told the audience that we all face challenges and you have to realize that and deal with it. On a daily basis, Craig says his biggest challenges are in his head and his heart as much as getting around from place to place. We all choose how we live our life and Craig believes in living his life to the best of his ability. You can laugh or you can cry, but Dietz thinks laughing is a lot more fun than crying. Andy interviewed Craig about his life and his family, who pretty much treated as though he had no limitations. They never prevented him from trying things and they never let him make excuses. Craig has traveled all over the United States and South Africa to speak to various groups and organizations. Craig said he is excited to speak to those attending the Albright Summit in Pittsburgh, Pa. in October. Craig challenged people to take charge and not let circumstances control you. Craig reminded people that life isn't easy but you can do something about the challenges you face. Andy discussed never giving up and used the movie Rudy as a great example of sticking with something you want in life. 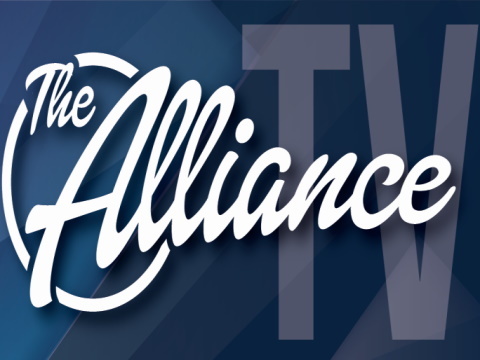 The Alliance can be your vehicle to be successful and live an awesome life. Andy covered the latest promotions in the company and recognized some people that have achieved record months in August. Andy asked if you are grateful for what you have and the opportunity you have each day. He urged members of The Alliance to be thankful for what we are able to do each day. He reminded people to have an attitude of gratitude. People don't buy what you do, they buy why you do it! It's a privilege to serve others. Helping people is a big part of what The Alliance does daily. The Wednesday Call Live (TWC) for September 4, 2013: Andy Albright is heading up the Burlington War Party in this episode of The Wednesday Call live from AMP Studios at The Alliance's headquarters. More than 170 people attended the live show for the Burlington War Party, and Andy had special guests like Foresters' George Croome and American Equity's Denny Southern. Andy asked several critical questions he believes every person must find out in life. Things like what are you fighting for and what do you believe in? Andy let the world know that The Alliance has room for the truly committed. A surprise guest joined Andy via telephone. Rocky Bleier called the show to talk about his days as a member of four Super Bowl champion Pittsburgh Steelers teams. Bleier is also a Vietnam veteran who was awarded the Purple Heart and Bronze Star for injuries and bravery. Bleier was told by doctors he would never play after being injured. He not only played again, he excelled with the Steelers. He will be one of several guest speakers during the Albright Summit in Pittsburgh this October. Bleier said he looked forward to visiting with The Alliance. He told TWC viewers that the biggest thing about commitment is it is a foundation, a belief system and a formula for success. "It's about buying in," Bleier said. "The only thing we have every day is an opportunity to make a difference." Bleier also said you have to be able to trust your teammates and have full confidence they can and will do their job. "Money is important but it is secondary to success and what you want on the inside," Bleier said. Have you decided what you want? Are you ready to get "YOUR WANT" on? Bleier just wanted to play and get back on the team. That was his goal. If it didn't work out, he wasn't going to have any doubts. You know those doubts where you ask yourself if you "shoulda, coulda, woulda?" Do all you can do and let things play out how they will play out. That's all you can really do. As long as you had a shot and gave it your best then you can go on with life if it doesn't work out for the best. In the end, the facts don't matter if your dream is big enough. Croome told Andy and the audience that he wanted to share a quote his father shared with him often when he was growing up, "Tough times don't last long, tough people do." Andy told the audience that you have to find a dream. You have to decide what you want to do. You have to have the hunger to do it. He asked people, "Are you hungry? That is what will drive you to the top," Andy said. "We need hungry people. We are looking for people with talent." The Alliance is fired up. The Alliance is changing lives. The Alliance is making the world better. We are inspiring others to do great things. We are happy to serve others. We are going to change people's lives. We are going to make this world a better place for everybody we encounter! The Wednesday Call Live (TWC) for August 28, 2013: This file is an audio recording of Andy's Live Show. If you would like to access the video version, check out the NAAtv Live Archives! The Live Show will air again on September 4, 2013 at 12:30 PM ET. The Wednesday Call Live (TWC) for August 28, 2013: Andy Albright was travelling today, so Alex Fitzgerald stepped up and delivered another jam-packed message in this episode of The Wednesday Call live from AMP Studios at The Alliance's headquarters in Burlington, N.C.
For 14 years Alex Fitzgerald has spent most Wednesdays on a conference call hosted by National Agents Alliance president and CEO Andy Albright. That call grew over time and has become The Wednesday Call. Today, Fitz flew in from Dallas, Texas to host the show while Andy is on a business trip to New York. Alliance Eventures' Katie Reavis joined Fitz and announced the latest cruise qualifiers for the Oasis of the Seas in 2014. The Eventures team has several events planned this fall including two Fall Forward events in Los Angeles, CA and Burlington, NC in October, and the very exclusive Albright Summit in Pittsburgh, PA.
Kristin Griffin joined Fitz to announce the Product of the week and the NAAU HotSpots Challenge that will run through Sept. 21. Kristin also let us know that The Lead Performance Team will host four certification classes in October - you can register by contacting the LPT. AMP Studios' Matt Taflan let folks know that the books of the month are: Winning with People by John C. Maxwell and Skill with People Les Giblin. Justin Tripp of President's Club introduced the latest Elite Ladies of the Alliance qualifiers. How committed were you in the beginning? Fitz explained that the only difference in his story and many members of The Alliance is that they haven't reached the level of success they desire yet. They had struggles, but they desire to be successful. They can't even relate to reaching the level of success that Andy Albright has so far. When Fitz and his wife Heather started in Dallas, Texas, they lived in the ghetto. It didn't happen for Fitz over night, but he kept working until things started to get better for his family through National Agents Alliance. Fitz said it was a painful process because he knew his wife was in pain at times. However, she never prevented him from chasing her dreams. He knew he had to make it work for his wife because of the pain and hurt she was feeling when they moved. There were times when bills or rent were late. Fitz fought to keep up as best he could. Fitz said he had to provide his wife with the life he had promised her when they first started dating. Fitz had a chance and he created the life he wanted for his family during the last 11 years. He consistently invested in his business even when he couldn't really afford to do so. It was long days, but Fitz never stopped. Those who want it and work for it will be rewarded. It wasn't easy for Fitz and it probably won't be for you, but it will pay off if you keep working hard. Fitz shares an incredible video from ESPN documenting Richie Parker's story of overcoming obstacles as an engineer at Hendricks Motorsports in Charlotte, NC. Parker has no arms but has fought to live as normal a life as possible. Now is the time to go all in with The Alliance. If a few more people truly commit then the company will explode. The proof will come by looking at your activity. It will come by looking at HotSpot meetings. It will come by looking at how many people you help. It will come because people practice the basics religiously. You can measure it by what you do this week, this month and the next 90 days. The Live Show will air again on September 11, 2013 at 12:30 PM ET. The Wednesday Call Live (TWC) for August 21, 2013: This file is an audio recording of Andy's Live Show. If you would like to access the video version, check out the NAAtv Live Archives! The Live Show will air again on August 28, 2013 at 12:30 PM ET. The Wednesday Call Live (TWC) for August 21, 2013: Andy Albright delivered another jam-packed message in this episode of The Wednesday Call live from AMP Studios at The Alliance's headquarters in Burlington, N.C.
Andy talked about some of the cool activities available for The Alliance on the Oasis of the Seas in June of 2014. Four more cruise winners were announced during the show and Andy placed stickers with their names on the ship board. Andy updated everybody on the latest qualifiers in the Elite Ladies of the Alliance. The August books of the month are "Winning with People" by John C. Maxwell and "Skill with People" by Les Giblin. Andy covered the product of the week Foresters Smart UL product and invited Jeff Gardner up to talk about the success he has had with providing clients this product. Gardner let the audience know how helpful Foresters support staff had been in helping him with questions the clients had to help him when he�s meeting with clients. Andy encouraged agents to take advantage of 13 free NAA University videos that are available for free on the web. Next, Andy shared a video about Jason McElwain, an autistic teenager who scored 20 points in the only game he played in during high school. McElwain's story touched millions of people and inspired a family with an autistic son to realize one day their son could also play basketball. One night and one young man playing a simple game gave hope to thousands. Everybody has a story and "JMac" got to tell his and it helped other people. "You gotta take the shot, stay in the game," Albright said. "You can�t quit." What if you knew people were not going to quit? The game would be over, you couldn't lose! You have a shot with The Alliance, are you ready to take it? There are going to be moments where you can change a life, help somebody and help yourself. It's going to happen. Tim Goad, founder of Tim Goad International, joined the show via telephone. Goad told The Alliance, "This is our moment." He encouraged people to do everything big and take advantage of the shot Andy and Jane Albright have provided through The Alliance. Share. Sell. Give. Win. Do all those things more often. That is going to mean making changes in your personal life and your business. It's going to take courage for that to happen. It's going to take a want-to-do-it mentality. It means ignoring the naysayers that will try to make fun of you. You will have to take action for it to happen. Andy�s main topic of the show was "What would I do if I had nothing and had to start over?" Andy explained that there are five things he would do - Check out the show so you can catch what they are! The trust factor: where are we at with each other? Everybody makes decisions. It's every single day when we wake up...what are we going to do next? Andy asked people to join him in the war against mediocrity. He urged them not to accept status quo because the world wants them to accept it. The Alliance is looking for people who want something better in their life. What do you want? What�s driving you? What are your goals? You've got to figure out what you want to do and work as hard as you can to be successful. If you don't make commitment, it will not work.